In May 1804, Meriwether Lewis, William Clark, and their Corps of Discovery set out on a journey of a lifetime to explore and interpret the American West. The Lewis and Clark Expedition Day by Day follows this exploration with a daily narrative of their journey, from its starting point in Illinois in 1804 to its successful return to St. Louis in September 1806. 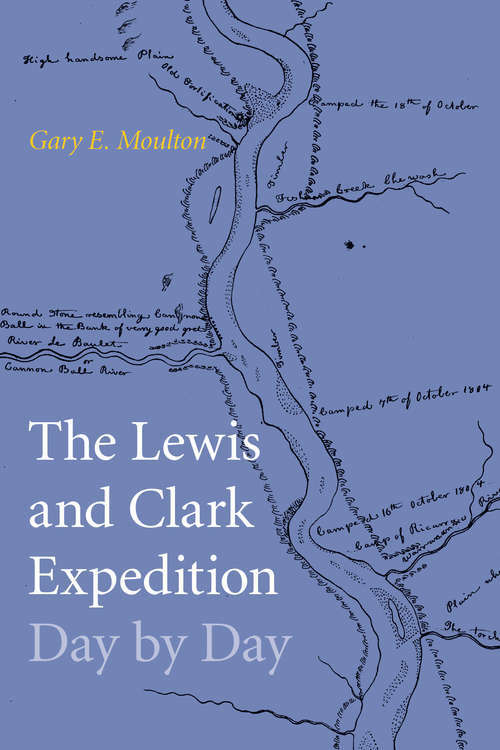 This accessible chronicle, presented by Lewis and Clark historian Gary E. Moulton, depicts each riveting day of the Corps of Discovery’s journey. Drawn from the journals of the two captains and four enlisted men, this volume recounts personal stories, scientific pursuits, and geographic challenges, along with vivid descriptions of encounters with Native peoples and unknown lands and discoveries of new species of flora and fauna. This modern reference brings the story of the Lewis and Clark expedition to life in a new way, from the first hoisting of the sail to the final celebratory dinner.